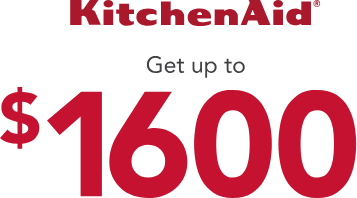 Get up to $1600 back with your purchase of select KitchenAid appliances. $200 - three appliances, $400 - four appliances, $600 - five appliances, and $800 - six appliances. PLUS receive a bonus rebate when you purchase select models. 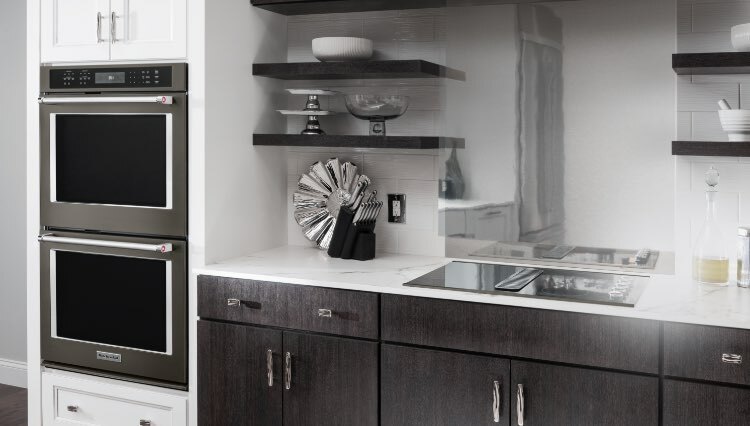 $300 - commercial style cooking and/or $500 - built-in refrigeration. 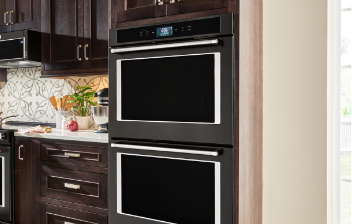 Black stainless steel makes a bold addition to any kitchen. 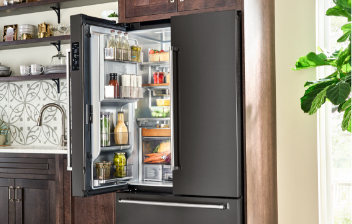 The soft, brushed metal of our black stainless appliances is offset by chrome details and satin-textured handles. 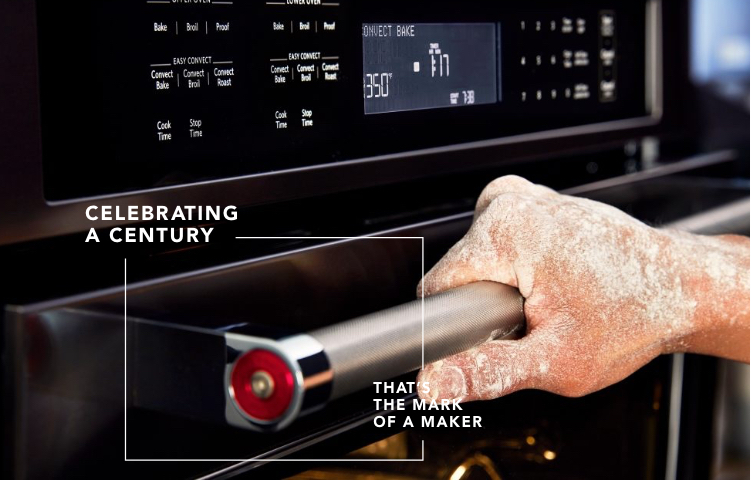 And with a PrintShield™ Finish that resists fingerprints and smudges, your appliances will stay as stunning as ever.. 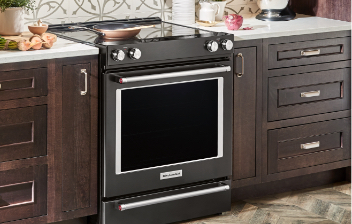 Premium major appliances from KitchenAid make it easy to design your ideal space for preparing, dining and entertaining. 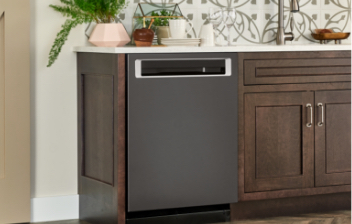 From classic major appliance suites to individual pieces sure to make a statement, you’ll find top-of-the-line equipment designed to help you craft a masterpiece meal for family or friends.